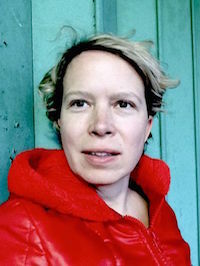 Montreal-born Ilga Leimanis is a London-based visual artist working in drawing and painting, one-half of the duo Ortelius Drew, and founder of a popular monthly London drawing group Drawn In London. Ilga’s teaching experience of 10 years has been varied and rewarding. Working at Central Saint Martins College of Art and Design, Ilga teaches Short Courses on drawing and research-based process. Ilga has taught at leading architecture and engineering offices in London for Drawing At Work. For University of the Arts London, she delivers Academic Support workshops and has been awarded RAS (Retain-Achieve-Succeed) research funding to investigate drawing as a necessary skill for creative activity. Ilga has worked with a broad range of students and professionals. Master of Arts – Concordia University, Montréal, Canada. Bachelor of Fine Arts (with distinction) in Art History – Concordia University, Montréal, Canada. Bachelor of Fine Arts, Specialization in Painting – Art Academy of Latvia, Riga, Latvia. (upcoming), Five Years, London, UK. Profiles: Friendship in the Digital Age, Gallery Istaba, with seminar at e-text-textiles, Riga, Latvia. Take Off, Dokhuis Galerie, Amsterdam, The Netherlands, featuring Ortelius Drew: a collaborative project by Ilga Leimanis and Doreen Wittenbols. Lovers and Other Strangers in my apartment, 6**2, rue St-Urbain, Montréal, Canada. Roads, Espace 414 – L’Édifice Belgo, Montréal, Canada. Happy Birthday ISTABA!, 10th anniversary exhibition, Gallery Istaba, Riga, Latvia. Inaugural Exhibition, Centre for Latvian Diaspora Art, Cēsis, Latvia. Latvian Exile Art, Latvian National Museum of Art’s (LNMM) Arsenāls Exhibition Hall, Riga, Latvia. Concordia University’s Homecoming Arts Festival 2004 Alumni Exhibition, VAV Gallery, Concordia University, Montréal, Canada. La figuration 1980-2000 : Œuvres de la collection Loto-Québec, Maison de la culture de Trois-Rivières, Trois-Rivières, Canada. Curated by Louis Pelletier. la Galerie d’art L’Union-Vie du Centre culturel de Drummondville, Drummondville, Canada. Soutine Days 2000, Vilnius City Hall, Vilnius, Lithuania. Annual Autumn Exhibition, Exhibition Hall Arsenāls of the Latvian National Museum of Art, Riga, Latvia. A Plotted Affair, a collaboration with Ortelius Drew, Rochelle Fry and Astrida Neimanis, to be published by Five Years. “Home?”, Locus Suspectus, 2/2006, p. 28-29, 32. “You, Me & Duende”, text for Doreen Wittenbols’ exhibition in Rotterdam, The Netherlands. “Sylvia Safdie Keren no. 4″, articule programming booklet 2002-2003, p. 16. The Best Kept Secret in Montreal, catalogue essay. Leonard & Bina Ellen Art Gallery, Concordia University. “Sylvia Safdie”, Canadian Art, Fall 2002, p. 134-135. Review of Safdie’s exhibition Extensions at Owen Sound. Gibraltar Point Centre for the Arts, Toronto, Canada. Vermont Studio Center Residency, Vermont, USA. Soutine dienos International Painting Symposium, Vilnius, Lithuania. Retain, Achieve Suceed Research, iJADE Conference 2016: Drawing, Riverside Innovation Centre, University of Chester, Chester, UK. Thinking Through Drawing, European Access Network Conference, University College Dublin, Dublin, Ireland. Profiles: Friendship in the Digital Age seminar, e-text-textiles, Riga, Latvia. Dawson College, Department of Fine Arts, Artist Talk, Montréal, Canada. York University, Intersections: Approaches to Visual Culture Art History Graduate Symposium, “Archiving the Self: George Legrady’s Immigration Story in “An Anecdoted Archive from the Cold War”, Toronto, Canada. University of Rochester, Theory and Practice: A Graduate Conference, “Book Works as Memory Sculpture”, Rochester, NY, USA. Concordia University, Fictions and Art History: A Graduate Student Conference, “Ilya Kabakov: Between Emptiness and Chaos”, Montréal, Canada. Concordia University, Department of Art History, Guest Lecture in “Canadian Artists of Central and Eastern European Origin: The Aftermath of Post-Second World War Immigration”, Montréal, Canada. Sylvia Safdie: Keren no. 4, articule artist run centre project room, Montréal, Canada. Vermont Studio Center Artist Grant. Art History Graduate Student Association (AHGSA) Travel Grant to attend Art History Graduate Symposium, York University, Toronto, Canada. Art History Graduate Student Association (AHGSA) Travel Grant to attend conference at the University of Rochester, New York, USA. Canada Council Travel Grant, to attend exhibition at Gallery ModeMāksla, Riga, Latvia. Latvian Canadian Cultural Centre Bursary for studies at Art Academy. Member of Five Years, London, UK. Member of Stockwell Studios, London, UK. Member of articule artist run centre (Treasurer 01-02 President 02-03) Montréal, Canada. LMS, Artists’ Union of Latvia. Ortelius Drew European Tour (2nd edition), Margate, UK. Drawing classes for Production Designers, Third Year BA and MA Film Practice, London College of Communication, University of the Arts London. Thinking Through Your Project Through Conceptual Drawing, BA (HONS) Fashion Marketing Futures and Innovations, London College of Fashion. Creative Spark workshop, Affordable Art Fair Battersea, Central Saint Martins Short Courses. Drawing, Painting, and Process course, Pringle Richards Sharratt Architects, London. Thinking Through Drawing Workshops, University of the Arts London, Academic Support. RAS (Retain, Achieve, Suceed) Researcher, University of the Arts London. Ortelius Drew European Tour, Madrid, Spain. Drawing classes for Production Designers, Third Year BA Film Practice, London College of Communication, University of the Arts London. Future for London, Leaders Plus Urban Drawing Workshop for career development for public-sector practitioners, Hackney Wick Fish Island and Peckham. Bespoke Training Drawing for Hoare Lea Engineers, Central Saint Martins, London. Design Master – delivery of workshop for Beijing Anostar Education, Shanghai and Beijing, China. Thinking Through Drawing Workshops, developed and delivered with Chris Koning for University of the Arts London Academic Support. Bespoke Training Drawing for PSR Architects, Central Saint Martins, London. Experimental Life Drawing workshop, Vogt Landscape Architects. Future for London, Urban Drawing Workshop for career development for public-sector practitioners, Old Street and Farringdon areas. Cobourg Primary School, volunteer teaching after school drawing club for years 5 and 6. Central Saint Martins, Online Short Courses. Life Drawing workshop, Vogt Landscape Architects. Big Draw launch St Pancras Station liasing and organisng workshops for Drawing At Work and Campaign for Drawing. Co-founder of location drawing group, part of Ortelius Drew collaboration, since 2015 renamed DRAWN IN LONDON, locations include Serpentine Pavilions, Sky Garden 20 Fenchurch Street, Royal Opera House, Kenwood House, Wallace Collection among others, London, UK. Big Draw launch Covent Garden and Sptalfields, liasing and organising workshops for Drawing At Work and Campaign for Drawing. Course Manager, Drawing At Work, London, UK. Juror, Annual Exhibition, Women’s Art Society of Montréal. Curatorial Assistant, Leonard & Bina Ellen Art Gallery, Concordia University. CSM Short Courses Blog, Student Stories: Idea Generation Processes, 9 November 2016. CSM Short Courses Blog, Student Review: Total Drawing, 4 March 2016. CSM Short Courses Blog, Former CSM Short Course Students Invited to Contribute to Book, 18 February 2016. Television interview with Toms Treibergs, “Culture News”. LTV, 1 June 2015. Luzar, Robert, review, “The Open West 2010″, Interface, a-n 14 March 2010. Fearns, Robert, Cluer Coleman, Lyn & Goodwin, Sarah. The Open West 2010. Cheltenham: University of Gloucestershire and Two Wood Press, February 2010. 43 pages [catalogue]. Television interview with Ilze Strenga, “Labrīt”. LTV1, 17 Aug. 2009. Burve-Rozīte, Anda. “Varbūt jūs tur esat!” Diena 20 Jul. 2009: 16. Vilūns, Raivis. “Profils 1, Profils 2…” Neatkarīgā Rīta avīze Latvijai 20 Jul. 2009: 18-19. Fragogna, Barbara, & Reiter, Martin. Personally Political Ð contemporary sensation: drawing. Berlin: Tacheles e.V., June 2009. 44 pages [catalogue]. Cover image for “Doing Phenomenology: Edges and the In-Between”, PhaenEx: journal of existential and phenomenological theory and culture . Vol 3, No 2 Fall/Winter 2008. The Marmite Prize 2008. London: Susak Press, 2008. 180 pages [catalogue]. Kalmīte, Lelde Alīda. Tēvu zemei – Latvijai: Pasaules latviešu mākslas izstāde 2008-10. Valmiera: Valmiera Regional Museum, 2008. 56 pages [catalogue]. Dorion, Henri. Le Québec au naturel : sur les chemins de la découverte = The Nature of Québec: a journey of discovery, 2006. Book and DVD. Published by Communications TerDor. “Class Acts” Concordia University Magazine. vol. 28 no3 (2005): 30. “Exposition sur la thématique du portrait”. La Voix populaire. 5 June 2005: 7. Lehmann, Henry. “Major artists and their muses.” The Montreal Gazette 5 Mar. 2005: W1-2. Interview by Astrida Neimanis. “Sveiks.” Toronto Community Television OMNI 1. 1 & 7 Nov. 2003. Besson, Valérie. “De l’art universitaire sans étudiants.” Le Quartier libre : Le journal des étudiants de l’Université de Montréal 20 nov. 2002: 23. Lehmann, Henry. “Gallery’s success is no secret: Experimental, contemporary art: Leonard & Bina Ellen at Concordia is celebrating 10 years in current space.” Montreal Gazette 9 Nov. 2002: H3. Charron, Marie-Éve. “Des révélations equivoques.” Le Devoir 19 oct. 2002: F7. Lerner, Loren. Canadian Artists of Eastern European Origin. 1999. Concordia University. Television interview. “Afiša”. Interviewed by Sarmīte Sīle. 31 Jul. , 6, 7 Aug. 1999. Ciemīte, Kristīne. “Ceļiniece ar gleznām no Monreālas.” Rīgas Balss 139.12 510. 21 Jul. 1999: 14. Television interview. “LNT brokastis” (LNT breakfast) LNT Television. 21 Jul. 1999. Rupenheite, Ieva. “Saules aktivitātes nenogurdinātie.” Diena 166. 2476. 20 Jul. 1999: 10. Television interview. “Rīts tv.” (Morning TV) 20 Jul. 1999. Radio interview. Interview by Jānis Roženieks. Latvijas rādio. 20 Jul. 1999. “Ilga Leimanis: Painting free-breathing expressions.” The Informer. Apr. 1998: 11. “Fast Forward.” Canadian Art 15. 1 Mar. 1998: 24. Kļaviņa, Antra. “Īsa pietura nepieturot.” Fokuss 12. 4-10 Aug. 1997: 14. Bužinska, Irēna. “Ceļojums dienas gaismā.” Zeme 12.360. 8-14 Aug. 1997: 3.